What if you were hired by a mature corporation as their new innovation manager. One of your first tasks is to find all the creative talents within the organization. What will you do? Will you walk around and observe how people dress and behave at work to pinpoint the creative types? Or interview everyone? Whatever you do, chances are that while you surely can expect having some hits, you’re likely to also have a lot of misses — and a lot of “false positives”. So what else can you do? Here cognitive profiling tools can come to your aid and rescue — provided you pick the right one. What are cognitive profiling methods? Cognitive profiling methods and —in a wider sense— personality-profiling instruments use well-structured questionnaires to determine the preferred cognitive styles of people. Ideally, the questions asked in the survey relate to certain psychological dimensions or cognitive styles that form the theoretical underpinning of a particular method. As such, these tests aim to capture differences in people’s personal preferences in areas such as cognition, behavior at work, communication and creative problem-solving, and innovation, among others. Typically, respondents self-assess their preferred ways with regards to the set of questions (known as personal assessment). In behavioral personality tests, however, other people report on the observed behavior of an evaluatee; in professional settings, this is often done as a “360 degree evaluation” involving a mix of superiors, subordinates, and professional peers. Based on the chosen answers, the evaluatee is then assigned a profiling score and/or a personality profile that describes their psychological preferences or preferred cognitive styles. Why are personality test and cognitive profiling methods useful? Critics belittle personal assessment tools by saying that they are pseudoscientific and no better than reading horoscopes. In contrast, proponents (and I am one of them) see value in using these methods to ensure a better alignment of people to environments that allow them to play on their natural talents. Personality tests and cognitive profiling tools give the respondents greater self-awareness on their preferred ways and cognitive styles, and on their natural talent as well as likely strengths and weaknesses related to a particular profile or profiling result. These tests also give people- and team-awareness to managers and colleagues who work together in a team, so that they not only know what makes themselves tick, but also what makes everyone else in a work team tick. To harness such higher self- and people-awareness, some methods propose specific applications for improving business performance, such as a more focused career planning, talent development, effective team-building, and the like. Arguably the most widely used psychometric instrument is the Myers-Briggs Type Indicator (MBTI). MBTI goes back on the work of the Swiss psychoanalyst Carl Gustav Jung, who introduced three dimensions to capture differences in personal style: Extraversion (E) vs. Introversion (I); iNutuition (N) vs Sensing (S); and Thinking (T) vs. Feeling (F). Later on, Katharine Cook Briggs and her daughter Isabel Briggs Myers augmented the Jungian preferences by a fourth dimension (Judging (J) vs. Perceiving (P)) and developed the MBTI typology of sixteen personality types. After taking a questionnaire, test subjects are assigned their profile type based on the letter combination of the highest score for each preferences (e.g. I come out as an ENTP). In his Keirsey Temperament Sorter (KTS), David Keirsey expanded the MBTI concept by introducing a new hierarchy of the MBTI dimensions and by grouping the types according to Plato’s four classic temperaments (e.g., guardian, artisan, idealist, rational). In addition, Keirsey suggested useful descriptive names for each of the MBTI types (e.g., the inventor in the case of the ENTP). Developed by the psychologist Ned Herrmann, the Herrmann Brain Dominance Instrument (HBDI) is yet another well-liked concept to measure and describe thinking preferences in people. HBDI is based on a two-dimensional model grounded in theories on the development of the human brain. It distinguishes four brain modes (a cerebral vs. limbic mode and a left vs. right mode), and measures four related cognitive styles (A. analytical; B. practical; C. emotional; and D. experimental). The scores of an individual’s test result are presented within the context of a profiling map that shows which of the four styles is predominantly used by a test subject. A related concept that leans on Herrmann’s model is the M.I.N.D. Design concept (M.I.N.D.) by Robert Alan Black. Like HBDI, Black distinguishes four styles that also christen the concept (M – Meditative; I – Intuitive; N – Negotiative; D – Directive), and uses the test results to indicate the extent to which a test subject draws upon each of the four styles. However, unlike the 120 profiling questions of HBDI, Black uses only nine questions to arrive at a largely accurate test result and descriptive report. An important profiling tool to captures style differences in creative problem-solving and innovation is Michael Kirton’s Adaption-Innovation Inventory (KAI). KAI captures on a one-dimensional scale the degree to which someone prefers to think and work as an adapter (who likes improving on existing concepts) or an innovator (who enjoys coming up with new solutions). Roger Hamilton’s Wealth Dynamics (WD) concept also draws upon some constructs from Carl Jung’s work on personality style, but merges them with elements of the classic Chinese I Ching concept. WD uses four variables (dynamo, blaze, tempo, steel) to assign test subjects one of eight profiles (e.g., creator, star, supporter, deal-maker, among others). What is special about the WD concept is that Hamilton describes how certain profile types are better suited to lead a company at different points of time as the venture evolves and moves through the company life cycle. One more profiling concept that works with only two Jungian dimensions (extraversion vs. introversion and thinking vs. feeling) is Insights Discovery. Created by a father and son team (Andi and Andy Lothian), the concept turns a 2×2-matrix into four color types (fiery red, sunshine yellow, earth green, cool blue) and then arrives at eight colored profile types with business-related names (e.g. director, motivator, inspirer). Another well-known profiling instrument is the DISC behaviour assessment tool. Grounded in Marston’s DISC theory, this tool measures the prevalence of four different behavioural traits (dominance, influence, steadiness, and compliance) in a person. In its original version, it assigns a person one of 15 profile patterns (named achiever, investigator, developer, among others) based on the test results. Other cognitive profiling tools that you may come across include Miller’s Innovation Styles concept, Lafferty’s Life Styles Inventory (LSI), the Big Five personality traits (also known as the Five Factor Model), or the Enneagram. Yet other popular profiling tests don’t target personality or cognitive style, but emphasize other aspects that may also give useful hints. For example, Don Clifton’s Strengthfinder test determines the top 5 strengths of a person (from an overall set of 34 talent themes). For example, my top 5 talents when I did the test in 2008 were “intellection, ideation, input, learner, competition’. So which cognitive profiling tool should you use? My advice is to test every new profiling tool you come across and find appealing to possibly learn new nuances about yourself. 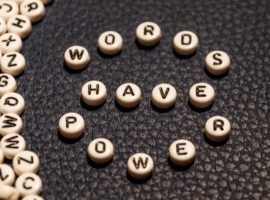 You will notice that some tools really “click” with you and offer valuable new insights, while others may be well-reputed but don’t resonate with you. Never mind, that’s part of learning more about yourself. In any case, the more tools you use, the more you notice that certain personality traits and cognitive styles seem to overlap across various tests, thus pointing to a particular direction where your unique personality and related cognitive styles and talents reside. And the more tests you do, the more you also come across some surprising new factors that make you one-of-a-kind. It’s just like collecting more and more jigsaw pieces of nuances of your personality, and once you find the right missing piece, you suddenly see a wonderful wholesome picture of who you really are. But coming back to our introductory scenario: What cognitive profiling tool can help you as a supposedly newly appointed Innovation Manager to reliably identify those creative types in your organization who genuinely are drivers and agents of innovation and organization change? And what tool can give you hints on how you can make everyone contribute to innovation in line with their preferred styles and natural talents? For almost a decade, I hunted for such a cognitive profiling tool to lighten up the people-side of innovation, testing method after method with always the same result: Most methods had certain aspects that I really liked and found valuable and accurate, but also had some “bugs” or delivery gaps that I perceived to be sub-optimal, missing or plain “wrong”. And while thinking about how to improve on these perceived shortcomings, I suddenly had created my own profiling concept: TIPS, Thinkergy’s innovation people profiling system. I created TIPS with the intent to give individuals and organizations clear insights on how everyone can contribute to corporate innovation by using the preferred styles of each profile type. 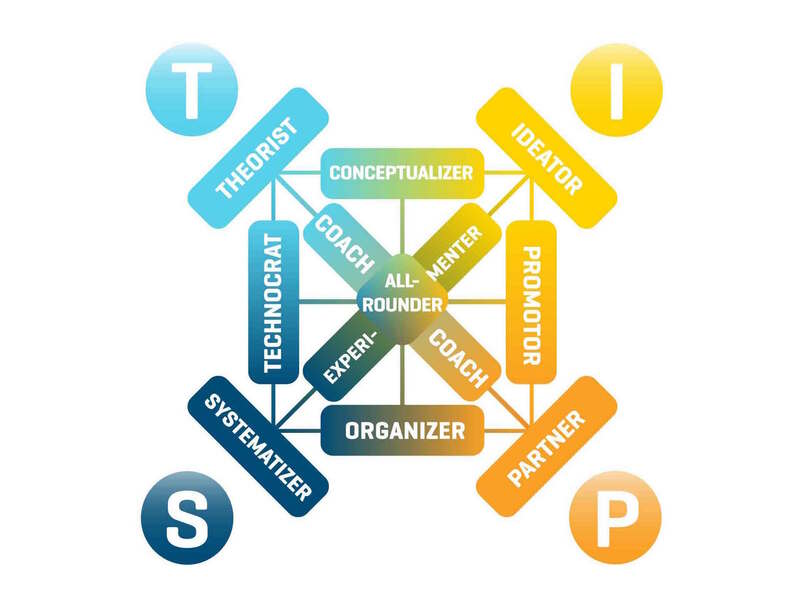 The TIPS innovation people-profiling method draws inspirations from theoretical constructs of a range of earlier cognitive profiling concepts listed above, but also includes new concepts adapted from other disciplines (e.g. evolutionary economics and social science). While testing a great variety of different cognitive profiling tools and online personality tests, I’ve learned how to scrutinize the underlying conceptual constructs and design architecture of such methods. What conceptual features do almost all of these methods have in common? What shortcomings did I notice in many of the tools that I tested? And how does TIPS aim to cure these perceived ills? In two weeks, you’ll get the answers to these questions in a sequel to this article.